Our Mission is to provide an individualized program of physical, emotional, spiritual and practical care for people in the last phases of life limiting illness. 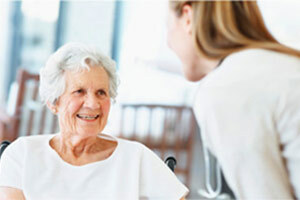 We emphasize comfort and dignity while allowing the patient to remain as independent for as long as possible. Putting our patient first at Carelink Hospice Services. Patient and families receive personalized and coordinated care in the comfort of their homes and across the community. Carelink Services is your local community hospice provider. We deliver personalized hospice care to hundreds of patients and their families in the comfort of their own homes. We focus our attention on the things that matter most to our patients: trust, quality care, personal service, and comfort. We strive to provide personalized patient experience. 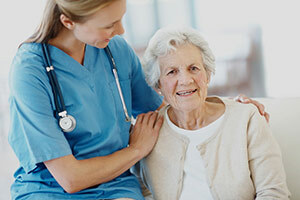 Putting patients first requires more than just care – it requires care that addresses every aspect of a patient’s encounter with Carelink Services, including the patient’s care needs, physical comfort, involvement in care decisions as well as their educational, emotional, and spiritual needs. We are there when you need us. When families are facing serious illness, Carelink Hospice Services helps guide the patient and their loved ones through the entire end-of-life experience. Our care is focused on providing holistic treatment (physical, social, emotional and spiritual) for the patient and their families as a whole during this complex phase of the human journey. Our goal is to ensure that the patient is comfortable and free from pain. Hospice care enables the patient and the family to spend precious time together and to make informed decisions that affect the quality of life. The team of skilled professionals and the medical director works with the patient’s physician to create an individualized care plan that meets the unique needs of each patient and family. Our staff members make regular home visits and a nurse is available 24 hours a day to answer questions or help with patient’s needs. By promoting independence, comfort, dignity and compassion, Carelink Hospice Services helps patients and their loved ones find meaning in each day. Our goal is to enable the patient to live an alert, pain-free life and to live each day as fully as possible. Our team approach consists of certified professionals and caregivers that provide care for the “whole person” including his or her physical, emotional, social and spiritual needs. 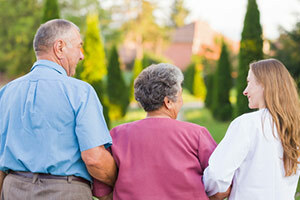 We provide spiritual care support to a patient and their family. We will serve as a liaison between them and their religious community. An interfaith chaplain offers spiritual support and pastoral counseling. In addition, the chaplain can assist families with funeral and memorial planning. Volunteers provide additional support. They help with household chores or grocery shopping – any number of things you might ask of a friend. They may stay with the patient so the caregiver can take a break. Individual grief counseling and support groups for youth and adults are offered to individuals who have suffered the loss of a loved one. These services are not limited to those whose loved one received hospice services. Medicare is a federal program that has two parts – Part A and Part B. All hospice services can be covered under either Part A or Part B while other forms of health care are only covered under one of the parts. For example, hospitals and short term nursing home care are covered only under Part A, while doctor’s visits, durable medical equipment, ambulance and outpatient services are covered under Part B.
Medicare is not an entitlement program, but rather an insurance program. 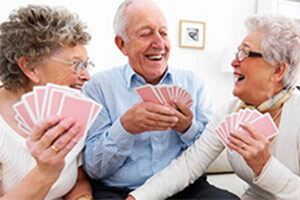 As an insurance program, Medicare covers only certain situations and items that meet the program’s criteria. Have a valid Medicare card or other evidence showing entitlement to Medicare benefits. 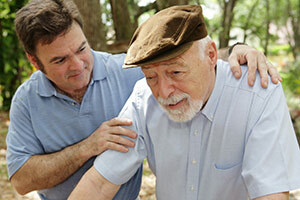 Be under a physician’s plan of treatment that specifies Hospice Services. The Hospice benefit is an optional state plan service that includes an array of services furnished to terminally ill individuals. These services include: nursing, medical social services, physician services, counseling services to the terminally ill individual and the family members or others caring for the individual at home, short-term inpatient care, medical appliances and supplies, home health aide and homemaker services, physical therapy, occupational therapy and speech-language pathology services. Individuals must elect the hospice benefit by filing an election statement with a particular hospice. They must acknowledge that they understand that other Medicaid services for the cure or treatment of the terminal condition are waived. Individuals may, however, revoke the election of hospice at any time and resume receipt of the Medicaid-covered benefits waived when hospice was elected. A hospice provider must obtain a physician certification that an individual is terminally ill and hospice services must be reasonable and necessary for the palliation or management of the terminal illness and related conditions. 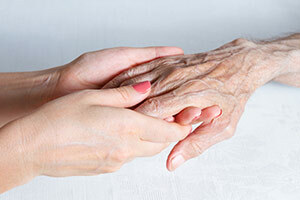 A hospice plan of care must be established before services are provided. There are four levels of hospice care: 1) routine home care where most hospice care is provided; 2) continuous home care which is furnished during a period of crisis and primarily consists of nursing care; 3) inpatient respite care which is short-term care and intended to relieve family members or others caring for the individual; and 4) general inpatient care which is short term and intended for pain control or acute or chronic symptom management which cannot be provided in other settings. Many commercial or private insurance companies, such as Anthem, Aetna, Cigna, Blue Cross/Blue Shield, and others, include hospice benefits as part of their health insurance policies. The number of visits, types of services and requirements for coverage vary greatly. It is therefore necessary to check each commercial insurance policy for the particular patient and situation. In general, many commercial insurance policies require a prior hospital stay, physician’s orders and need for intermittent skilled services to cover the cost of Hospice Services. Commercial insurance companies are increasingly offering case management programs that provide a variety of community-based services, including Hospice Services, as an alternative to more expensive institutional care. Probably the least frequent payment source for hospice care is self-pay in which hospice agency reimbursement is made by the patient, family members, or other source of private income. This source is obviously the least restrictive in terms of eligibility requirements, since it is basically a contract between a client/family and the agency. An agency’s own admission requirements will dictate the eligibility requirements and will probably include physician’s orders at a minimum. Many states have established special funding sources for hospice care. Please contact Carelink Hospice for your healthcare needs.